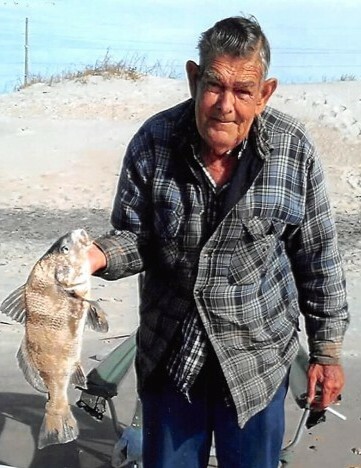 David Lloyd Ely, 80, of 155 Ely Lane, passed away Monday, December 3, 2018 at Brunswick Cove Living Center. A visitation and a time of family fellowship will be held from 4 PM – 6 PM, Sunday, December 9, 2018 at Crumpler-Honeycutt Funeral Home, 118 Fayetteville St., Clinton, NC 28328. David, born in 1938 in New York, was the son of the late Lloyd G. Ely and Charlotte Myers Ely. He was a self-employed mechanic. He was a truck driver and worked for S & W Concrete. He was a veteran of the US Airforce. In addition to his parents he was preceded in death by his wife, Betty Ellen Baldwin Ely. He is survived by his son, Timmy Ely (Christy) of Bunnlevel and granddaughter, Brianna Nicole Phillips (Tyler) of Clinton. Online condolences may be sent to the family at www.crumplerhoneycutt.com.